Marketing strategies of every organization revolve majorly around content. Content plays an essential role in successfully getting results out of your digital marketing campaigns. But your content needs exposure to perform well and that is what exactly content syndication does. By syndicating, you are giving legs to your content so that it can reach thousands of readers. Content marketers might know the significance of generating demand and leads through content syndication and whitepaper syndication. Republishing your content on other third-party websites is exactly the definition of content syndication. It is like letting your content participate on other renowned and authoritative websites to attract the audiences there. However good your content might be, posting it on your website will give it the attention of the audience limited to your niche. But with syndication, you will be able to reach out to what we call OPA (Other People’s Audience) as well. Content syndication being scalable is advantageous over guest posting. You are writing a post to publish it on your blog in order to reach your niche audience. Now, you are republishing it on any credible platform to leverage its reach to a wider audience. In the guest posting, you write a post for any website or blog in your niche and it markets you to the audience of that particular website or blog. Guest Posting is not that scalable as how many guest post will you be able to successfully pitch and get published? By syndicating your content you will be able to reach a wider audience as compared to guest posting with just that one post. Is It an Effective Marketing Strategy ? Most of the people are afraid of content syndication as Google does not encourage duplicate content. When you will republish your content on other third-party sites, the issue of duplicate content will arise. But Google does understand and can differentiate the syndication of content from duplicate content. Don’t fear getting knocked by a Google penalty as it does not penalize for syndication. At the worst, the duplicate version of your content might get filtered out of the search results. So, don’t worry about screwing up your SEO strategy and focus more on the ‘marketing’ aspects. The most influential sites on the web like the Huffington Post, the New York Times, and CNN also feature syndicated content. Moreover, you can also choose your niche audience by customizing the demographics to reach to the relevant audience. Keeping aside the share of some minor issues, syndication of content is still an indispensable technique to get wide exposure. 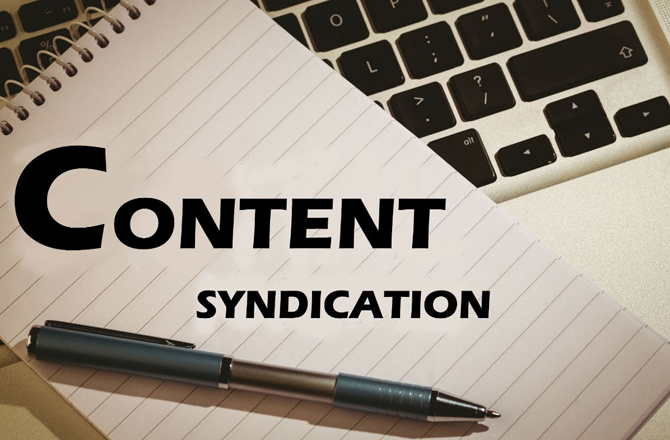 Here are some major advantages of content and whitepaper syndication tactics which makes them great. By syndicating your content to authoritative and renowned sites you will be able to gain massive exposure from its large audience. It is a wonderful opportunity to drive leads from the loyal and huge audience of these third-party sites which otherwise will not be possible by posting on your personal blog or website. If the potential of your original blog post is reaching 1000 readers, then syndicating that content to a good site can boost its reach to ten-fold or even more. If you are syndicating quality content on a regular basis, your brand will build a steady online presence. You will become easily accessible and visible digitally. Start syndicating quality content that’s helpful for the audience. Keep following it up with more content extracts and thereby you can nurture your visitors. Diverting traffic to your business is the most common goal of content syndication for most businesses. You will be able to drive organic traffic that will be loyal to your brand by syndication of content. Search Engines will consider your content as a quality feed as it appearing on the authoritative website or blog. Owing to this, your content is likely to appear on the top in SERPs (Search Engine Result Pages) and you can boost traffic and hence drive more business. As any reader reaches your website via republished content, you can jump onto this opportunity to educate them about your brand. Leave an impression with valuable stuff preplanned for the visitors and show them the how helpful and valuable your brand is for them. Very fewer tactics benefit you with the fruits of both demand and lead generation. 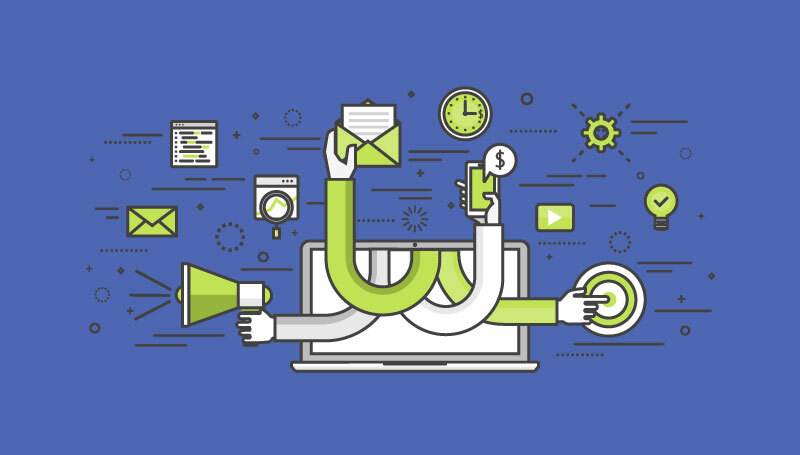 With content syndication, you can have the benefit of both these(demand and lead generation) hierarchical stages of marketing, accomplished with just one strategy. 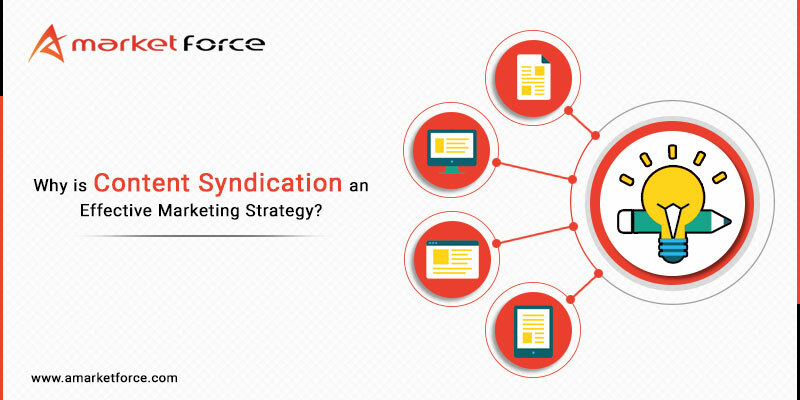 You can undoubtedly go big with content syndication as with its various benefits it is here to stay. Focus on your content quality and choose the right site for republishing your content; that is all enough for slaying your marketing strategy.